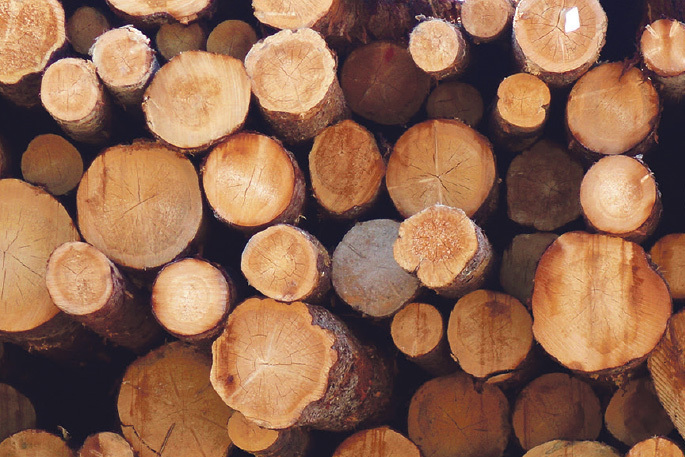 Establishing industrial clusters around wood processing is a promising prospect for regions with surplus forestry resources and can contribute substantially to New Zealand’s bottom line, according to Scion. In a recently-completed research project, the Crown Research Institute identified four regions where wood processors could collaborate with other industries to provide, share and reuse materials, energy, water; and, or, byproducts, for mutual benefit. The Wood Energy Industrial Symbiosis project mapped NZ’s forestry, energy resources and fossil energy-using industries to identify regions where clusters of wood processing operations could be co-located with manufacturing plants. Gisborne, Hawkes Bay, Northland and Southland/Clutha were identified as regions suitable for wood processing clusters using Scion’s WoodScape model and predictions of future log availability to calculate return on capital investment – or ROCE. Industrial symbiosis in Gisborne would be focused on standalone wood-processing powered by forestry and processing residues. In Ngawha, in Northland, the availability of geothermal energy frees up residues for secondary manufacturing. In Hawke’s Bay and Southland/Clutha, residues from wood processing clusters would be used to replace coal or LPG energy sources used by other nearby industries. The project says new wood processes with the highest ROCEs include sawmills, Optimised Engineering Lumber, plywood, oriented strand board, cross-laminated timber and remanufactured timber. Where geothermal heat is available the range of options expands and includes bio-chemical recovery and manufacture of solid biofuels from wood processing residues that might otherwise have been used to provide process or drying heat. Scion believes growing on-shore processing will be necessary if NZ wants to achieve a 10-fold increase in GDP from forests and related manufacturing. An existing example of industrial symbiosis is the town of Kawerau in Eastern Bay of Plenty. “Surrounded by forestry, Kawerau is a well-established wood-processing centre, and has the world’s largest application of geothermal energy for industrial use. Opportunities for full industrial symbiosis around the Marsden Point oil refinery and Golden Bay Cement/Portland Cement in Northland hold similar potential. Further opportunities exist to replace fossil fuels used for industrial heat with biomass in the central North Island, Blenheim, Tasman/Nelson, Hokitika, Greymouth and Canterbury. (Source: ‘Scion Connections’ Issue 30, December 2018).